Monsignor Thomas E. Reidy celebrated 50 years of priesthood in 2017. Originally from Chicago, Father Tom, as he is known, has served in administrative roles in the Diocese of Springfield-Cape Girardeau as well as pastoral service in several parishes. He is currently diocesan chancellor and vicar general as well as pastor of St. Francis and St. Elizabeth Ann Seton Parish, Springfield. He is a tried-and-true Chicago Cubs baseball fan. 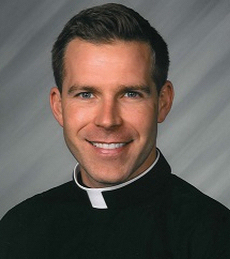 Father Colby Elbert was ordained in 2017 in his hometown parish of St. Peter the Apostle, Joplin, after graduation from St. Meinrad Seminary, Indiana. Besides a Master’s degree in divinity, Father Colby holds a bachelor’s degree in psychology from Missouri Southern State University, Joplin, and additional Master’s level studies in psychology. He plays disc golf, along with biking, sailing and skiing. 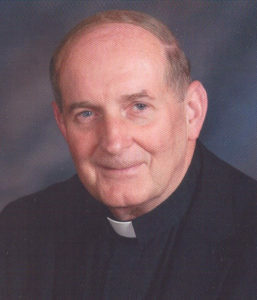 Father Michael V. McDevitt retired in 2017 after 46 years of priestly ministry and diocesan leadership in vocations and youth ministry. 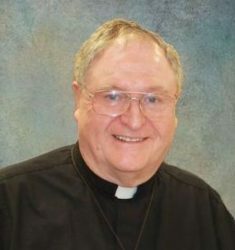 Just prior to retirement, Father Mike served as sacramental priest at both St. Francis and St. Elizabeth Ann Seton Parish, Springfield, while also serving as rector of Springfield Catholic High School and director of Springfield Catholic Schools. He continues to be active in parish life at St. Francis. Deacon Gary Steffes was ordained to the permanent diaconate in 2013 in the Diocese of Jefferson City. After first serving at St. Pius X Parish, Moberly, he and his wife Joy moved to Nixa where Bishop Edward Rice assigned him to St. Francis on September 1, 2017. 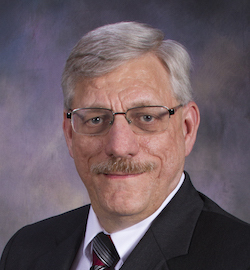 For more than three decades, Deacon Gary was chief financial officer of Moberly Area Community College. He and Joy enjoy time with their three children and eight grandchildren. Sheri Duncan has served St. Francis Parish since 2004, when the parish was in formation. She was asked to serve as its first finance chair and later was co-chair of the inaugural Stewardship Council. Sheri retired from Nixa Public Schools in 2007 when she became our parish office manager. Rick Barnhart divides his time as director of religious education at St. Francis and as associate director for evangelization and catechesis for the Diocese of Springfield-Cape Girardeau. 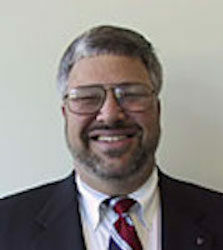 A St. Louis native, Rick holds Bachelor’s degrees in history and philosophy and completed graduate work in theology with the Jesuits at St. Louis University. He taught history and religion at high schools in St. Louis. Rick and his wife Diane moved to Nixa in 2015; they have two children and one grandchild. Involved in music ministry since age nine, Debbie Durham has been a music leader in several parishes in Iowa and Missouri and now serves as music director at St. Francis of Assisi. Debbie holds a BS degree in Speech and Hearing Science and an MA degree in Journalism and Mass Communication from The University of Iowa (UI). 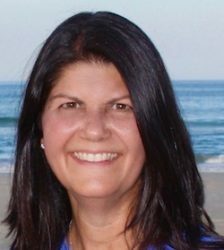 She grew up on a dairy farm in Bernard, IA, and worked in Iowa City, IA, as managing editor of a medical journal as well as various public relations and philanthropy positions for both the UI and UI Foundation for nearly 20 years. She moved with her family to Nixa in 2001. Debbie, her husband, Paul, and their children, Josh, Zach, Tyler, and Jessica, are founding members of St. Francis of Assisi parish. All parishioners are encouraged to share their time and talents to support and grow our parish community.